Sound the synthesized death knell. The traditional sticky-floored, alcopop-fuelled nightclub is dying. Gone are the days of club owners opening on a Friday night to queues around the block, able to pick and choose who got in according to whimsical, ever-changing entry policies. 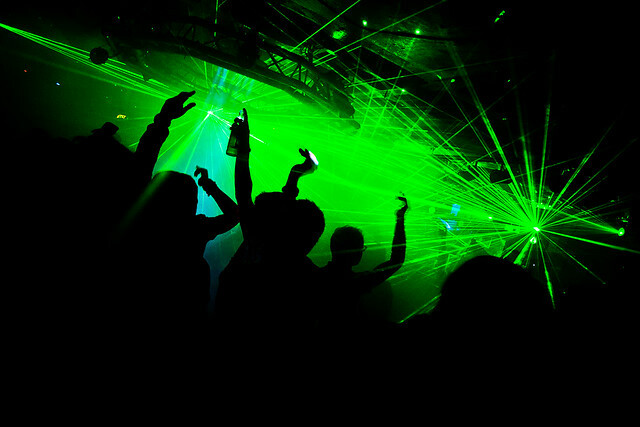 Nearly half the UK's nightclubs have shut in the past decade. Many contributing factors have been identified in a tide of press coverage - is it the fault of the smoking ban, the loosening of licensing laws or the effects of the financial crisis? All have been mooted, but none tell the whole story (on the latter point, historically there has been no drop during times of austerity — the late 1970s for example, were a boom time). These factors aside, there seems to have been a broader shift in perceptions of the nightclub, and late night entertainment in general. Across wider youth culture, eschewing multiple nights out in favour of fewer, more bespoke experiences has become the norm - more nights saved up in front of Netflix or BBC iPlayer during the week, and a 'special' experience like Secret Cinema at a weekend. Live music in particular has boomed, with festivals springing up all over the place. They aren't just confined to summer either — carefully curated festivals run under the All Tomorrow's Parties banner throughout the year and are extremely successful. Amid all the many reorientations of night time entertainment however, it's perhaps classical music's contribution that is the most intriguing. Organizations including Spitalfields Music and NONCLASSICAL are taking classical music out of the concert hall and into the nightclub — the former performing works such as Debussy's Prélude à l’après-midi d’un faune in venues like Shoreditch's trendy Village Underground and XOYO venues; the latter adding another layer by throwing dance music created from 'classical' instrumentation into the mix as well. In September, NONCLASSICAL will bring their brand of informal classical music to the Royal Opera House, curating a Deloitte Ignite club night in the Paul Hamlyn Hall featuring performances from The Royal Opera and The Royal Ballet alongside guest artists. NONCLASSICAL was established as a record label in 2003 by Gabriel Prokofiev, grandson of Romeo and Juliet composer Sergei Prokofiev. Alongside releasing albums of classical music remixes from artists including Thom Yorke and Hot Chip, Prokofiev quickly set about running club nights at venues around East London, adopting a model more akin to the DIY rock bands he played in as a teenager. Prokofiev's choice of guest artists for the Deloitte Ignite club night is emblematic of NONCLASSICAL's fusion of cultures. DJ Mr Switch was the first ever DJ to appear at the BBC Proms, performing 'Concerto for Turntables', and is three-times World DJ Champion; while Klavikon reimagines electronic music with organic instruments. Rejecting loops, laptops and sequencers, he delivers danceable batteries of percussion using only an amplified piano. It has to be seen — and heard — to be believed and is a model that has been replicated with success around the world, with club nights popping up in New York, Berlin and Budapest. Far from dying, the role of the great British nightclub is undergoing a radical evolution, and the world is taking note. The Deloitte Ignite NONCLASSICAL Club Night takes place on 5 September 2015. Tickets are still available. Turns out classical music, far from being a tired old war horse, is proving to be evergreen, and timeless. It is nice to see classical music infused with dance music. This gives the younger generation an appreciation for classical music. Personally, I think classical music and a nightclub are not suitable for each other. Classical music helps relax, but this genre of music is not for everyone! In nightclubs, people relax and dance. But how to dance to classical music? Unless it's a waltz. In order to make clubs more cultured it is better to make more strict rules for visiting the club. 1. This is the minimum age for entry. 2. Control that the club does not accept illegal drugs. But classical music can be used to make a special event!